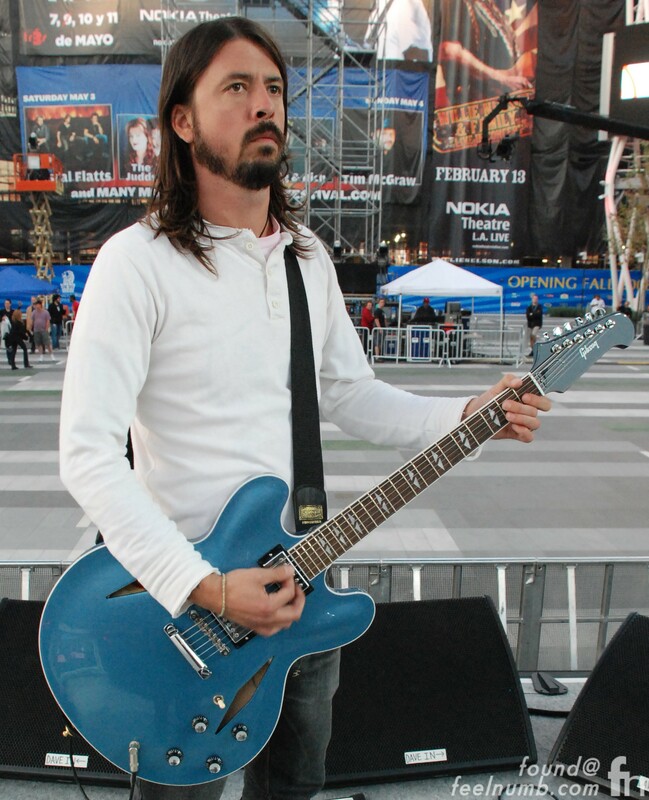 In September 2007, Gibson introduced the DG-335, designed in collaboration with Foo Fighter Dave Grohl. 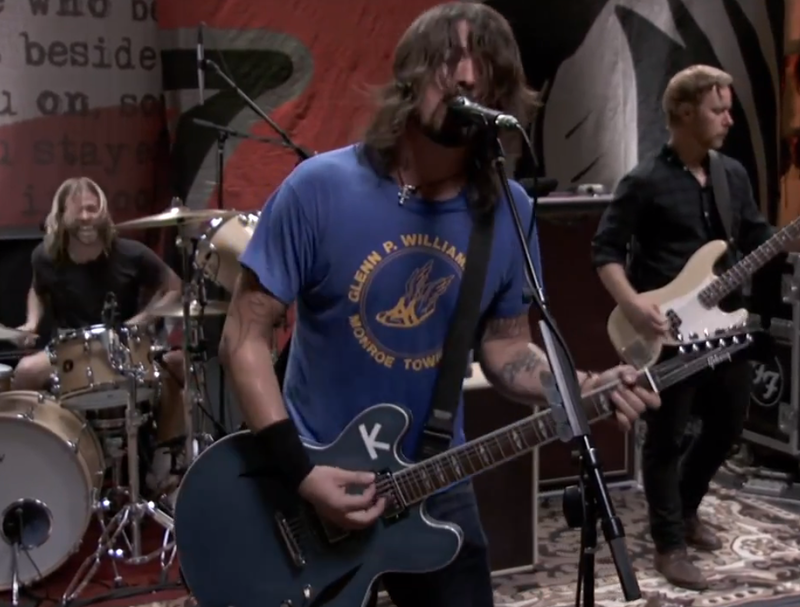 Since it’s introduction, this is pretty much the only guitar Grohl plays on stage. 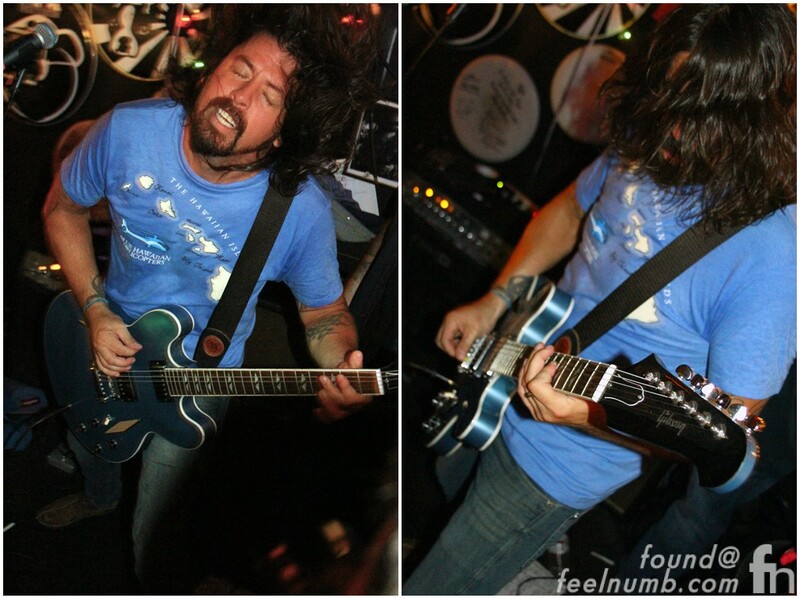 Here are some exclusive Dave Grohl and his DG-355 photos taken by feelnumb.com at the Birds of Satan Record Release Party at Rock and Roll Pizza in Moorpark, CA on April 18, 2014. 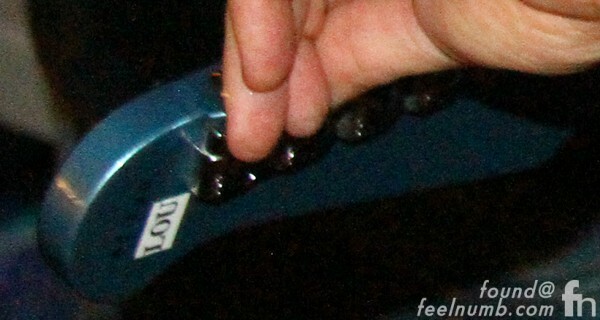 It was at this show that I happened to get close enough to the stage to notice that Grohl’s guitar had a p-touch sticker on the back of the headstock. Upon close inspection, I noticed the sticked read “Lou”. B.B. King had “Lucille“, well I guess Dave Grohl has “Lou“. I’m sure DG has quite a few of these guitars but I can only assume why this one is named “Lou”. 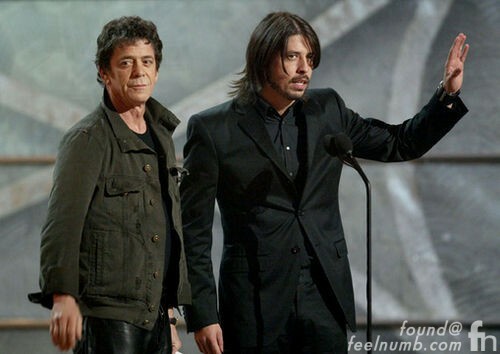 Maybe Grohl named it after the great Lou Reed who died 6 months earlier on October 27, 2013. 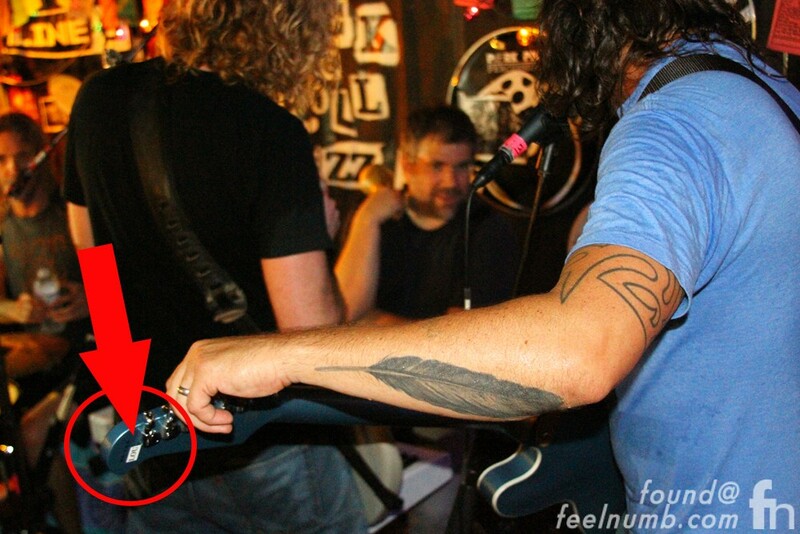 It wouldn’t be the first time DG has stuck a dedication on his guitar. He once had K on his guitar on the anniversary of Kurt Cobain’s death.